I made this healthy fish entree last night. If rockfish is not available at your local supermarket, you can use another mild white fish such as halibut or cod. Also, this recipe originally called for peaches instead of mangos. For the salsa, you can use peaches, mangos or pineapple depending on what is in season. I used mangos because those were the most ripe! 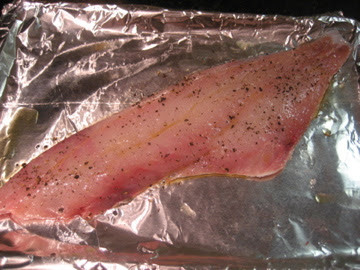 Rub rockfish filet with salt, pepper and olive oil and bake in the oven for 8-10 minutes, depending on size or until fish is opaque and can be easily flaked apart with a fork. Either prior to cooking the fish or while the fish is baking, make the salsa. Combine mango, onion, cilantro, and lime juice. Season with salt and pepper to taste. 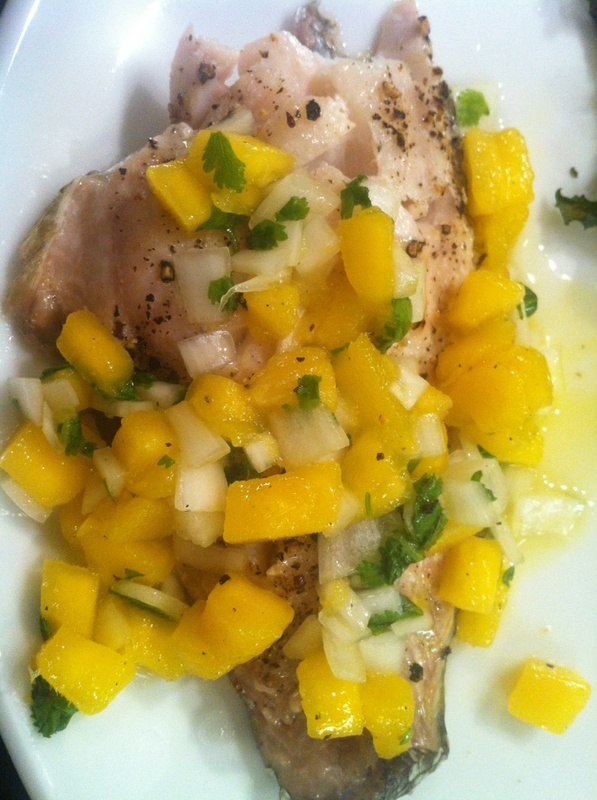 Serve fish topped with mango salsa and a wedge of lime on the side. ***Call the grocery store ahead of time to ensure rockfish, cod or halibut is available. This recipe originated from the website, Yumsugar.